The mobile gambling market is a massive industry and one of vital importance to gambling and sports betting brands alike. Although the mobile market is relatively young, its popularity has already been hugely influential on gaming trends. Players have begun to move away from their PC devices and have focused their attentions on smartphones and tablets. Experts are predicting a huge influx of mobile gamblers, with combined mobile and tablet sales reaching 1.9 million last year, and outperforming traditional PCs by five times. According to Gartner, 470,000 tablets and 2.1 million mobiles will be sold in 2017, meaning that mobile gambling could outperform more traditional methods of betting. 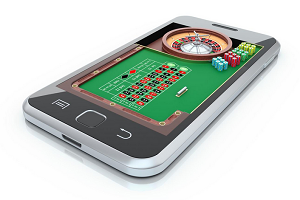 Mobile experts Juniper Research have revealed that mobile gaming is the fastest performing sector in the gambling market as a whole, with the mobile gambling market expected to be worth over $100 billion by 2017. This growth is due to the increase in smartphone access, with two-thirds of the British population now owning one of these mobile devices. Prior to the rise in smartphone technology, access to online gambling products was limited. According to Poker.co.uk: “The advancement in technology and rise in popularity of smartphone devices has allowed… players to enjoy their favourite games through mobile applications that are downloadable straight to their phones.” The site went on to state that this move has boosted the online gambling industry, as “not only does the move into mobile gambling applications give players easier access to their favourite…games without having to compromise on their gaming experience, but it also provides financial benefits” for the gambling operators. However, as the online gambling industry in the UK approaches the £2 billion mark problem gambling is set to increase. The number of British people at risk of developing issues with gambling has reached almost one million, whilst gambling addicts have doubled in the course of six years, standing at nearly 500,000. However, new proposals to the Gambling (Licensing and Advertising) Bill were announced in the Queen’s Speech. These changes increase the regulation that gambling operators face and will give players better protection, as for the first time UK and overseas operators will have to inform the UK Gambling Commission of suspicious betting patterns and help fund efforts to stop them. As legislation adapts to protect consumers from the possible effects of easier access to real money gambling, the mobile gambling industry continues to grow despite increased regulation, thanks in no small part to constant technological advancements. iGaming has shown persistent growth over the past few years and is expected to continue in the same trend. 51% of the world’s population take part in some form of gambling every year, thus signifying obvious financial benefits for online gambling websites. With the expansion of the online gambling industry, players have come to expect only the highest quality of online gambling facilities. New features and regular system updates are needed to maintain your online gambling website to stay ahead in the market. Gambling is certainly one of those activities which has been popular since civilisation began. Maybe longer!